The new macOS Mojave version released last year came with a lot of great new features, but this new update still included a number of problems and issues that might prevent you from using your Mac computer. While the latest macOS Mojave 10.14.4 update packs with additional features and key upgrades, it still exists many issues. In this post, we’ll show you how to fix macOS Mojave problems, bugs, and errors. You can apply these following solutions to fix issues on your MacBook, MacBook Air, MacBook Pro, iMac, Mac Pro, Mac Mini. When you are downloading the latest MacOS installer, you might run into issues. There are several reports from Mac users when they could install macOS Mojave update due to Wi-Fi cutout and the incompletion of Installer in one go. If you are encountering the same problem, you can try to put your device closer to the router. Additionally, you can try downloading the installer file on another Mac and then copy it to a USB drive. Although it’s not a massive issue on Mojave version, you still to be prepared for fixes. If you also have issues with downloading the Mojave updates, you should then restart your router or modem and check whether the problem is already gone. 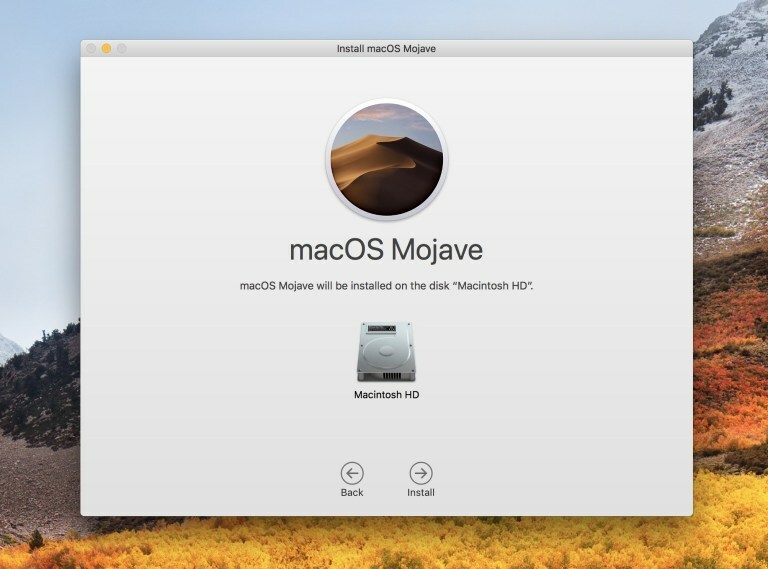 Many 2018 MacBook Pro user reported that they faced the Mojave installation problems on their computer, which is running on a newer T2 processor. There is a message “An error occurred installing macOS” showing up on the screen. Click on Apple menu > Shut Down. After it shuts down, quickly press Shift + Control + Option keys on the left side of the keyboard, and then press the Power button. Hold all of them for about 10 seconds. If your MacBook Pro comes with Touch ID, this button is also the Power button. Release all key and press the Power button to power your Mac on. To get further information, you can check out this Apple Discussion Forums post where many Mac users are discussing the problem. If you are trying to install macOS Mojave from an external drive, you might see the install stop halfway. To get rid of this, connect it directly to Thunderbolt 3, instead of an adapter. Quickly press and hold the Shift key. Keep holding it until you see the login window. Now, try installing MacOS Mojave while your computer is in Safe Mode. If none of these options helps, you should wait for newer versions of macOS Mojave, which include a fix. 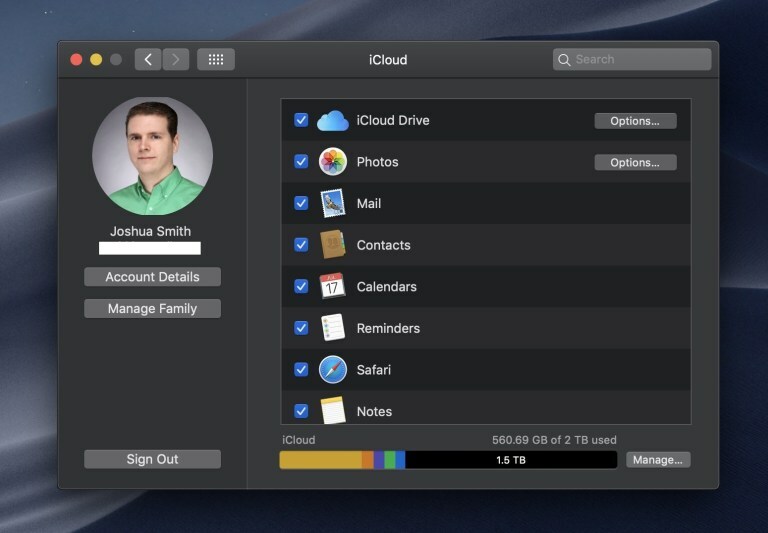 Some Mac users also reported that iCloud was not syncing after they updated their computer to MacOS Mojave version. If it happens to you, there are things you can try to fix that. Click the Apple Logo on your Mac. Choose System Preferences > iCloud. After that, restart your Mac to reset the iCloud processes. If Messages in the Cloud synchronization is not still working, you can disable the settings and then turn it on again in Preferences > Messages. Click on the Bluetooth icon to open Bluetooth preferences. Click on your device and delete it and then start the pairing process again. Head to the System Configuration folder in – /Library/Preferences/SystemConfiguration/ and delete a group of files. Once done, restart your Mac. There are several reports about poor performance on MacOS Mojave and the system even showing a beach ball of death. Although it’s not an issue for all users, it’s having an impact on enough users to be concerned. You should note that there might be some lag and performance stutters for the first few days after the upgrade. Once you update your apps, performance will be enhanced. There are a few small issues left, you just wait some days before trying anything more dramatic. If your Mac still slows down on macOS Mojave even after spotlight is done, you might be encountering bigger issues. In this case, a clean macOS Mojave install is probably the best solution. There are many macOS Mojave problems that are making uses frustrated. So if one of your apps is not working, the first thing you should do is checking for updates. Developers have already published new app updates that are compatible with macOS Mojave version. In some cases, you can consider purchasing a new version. If there is a warning that you are using a 32-bit app, you can look for an alternative or update this app. These are common problems on the MacOS Mojave version. We’ll update more problems as well as their fixes in this post later.